Innocent Spouse Relief is an IRS tax relief program which can reduce tax debt for a single taxpayer resulting from a married filing jointly tax return. Jointly filed tax returns usually provide many tax benefits. When the IRS often discovers shortages in taxes owed, both individuals are jointly and individually responsible. Do You Qualify For Innocent Spouse Tax Relief? The IRS will then send a formal notice of taxes owed to each spouse at the IRS address of record. The IRS sends out these notices automatically, regardless of the current marital state. Occasionally one spouse has duped the other regarding information reported to the IRS on the jointly filed return. The duped spouse may feel they are not responsible for the taxes owed. There may be legitimate cause for filing a claim for innocent spouse relief. Most of the time the IRS holds both spouses equally responsible for taxes owed on a jointly filed tax return. However, one spouse may make a mistake or even commit outright tax fraud. 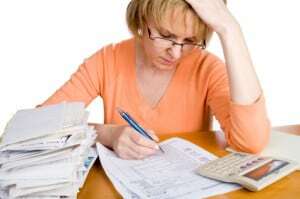 One spouse may not be liable for the other’s tax debt. The “injured” spouse may have a legitimate innocent spouse relief claim. The IRS created the Innocent Spouse Relief program for these claims. The IRS decides if a spouse qualifies by meeting certain conditions.